Today is Jennifer Aniston’s 50th birthday. Her party was on Saturday, at the Sunset Tower. And as you’ve probably heard, it was probably the most A list guest list of any party in a long time. It could have been an awards show. It may have been more well-attended that any award show this season when you consider some of the names. We’ll get to some of those names later. Right now there are two names that are making the most headlines. Well, one name in particular. But the other name also adds to the story. Let’s start with Brad Pitt. 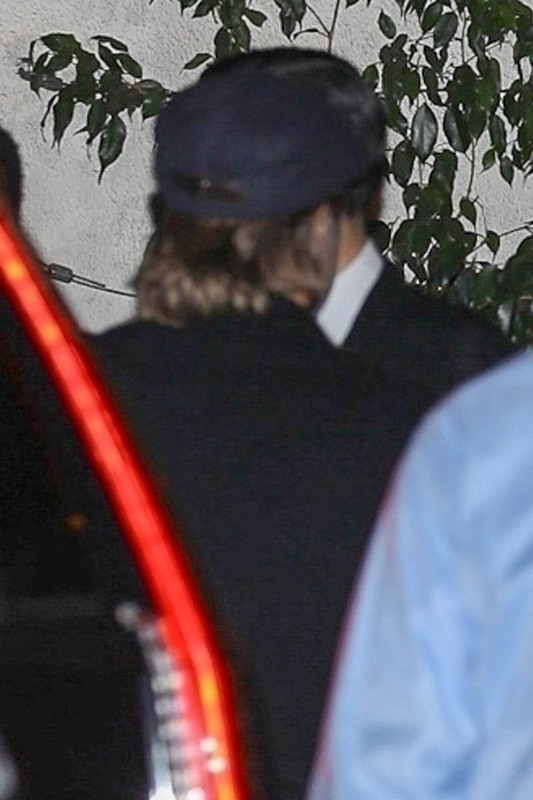 You can only see the back of his head as he arrived but that’s him, he was there, and everyone is freaking out. What does it mean? Whatever it means, of course it’s good for gossip. It’s GREAT for gossip. Brad and Jen have always been great for gossip, before the triangle and during the triangle and, clearly, after the triangle. Most outlets are reporting that while they shared a brief moment during the party, a quick hug and a few words, they did not spend a lot of time together. She was the main event, everyone wanted face time with her, so it’s understandable that she had other people to talk to, other people to greet and thank and hang out with. PEOPLE reports that she “debated” inviting him and in the end she decided to include him because she was celebrating her life and at one point he was a big part of it. But while there may not have been anything worth gossiping about AT the party, you know the stories that are going to come AFTER the party. Expect at least one tabloid to publish something about Angelina Jolie losing her sh-t when she found out that he was there. Expect a few others, in the coming weeks, to tell us that Jen was so grateful that Brad came and that he had such a good time while he was there, it rekindled in both of them their memories of how happy they used to be when they were the Golden Couple of Hollywood, around whom everyone and everything orbited – and that they’ve decided to give their love a second chance. And then there’s John Mayer. He was there too. And Jen wasn’t the only ex of his at the party because Katy Perry attended with Orlando Bloom. Obviously there’s no drama, between Jen and John and between John and Katy – or if there is drama between John and Katy, they’re sensible enough to not let it become an issue at someone else’s birthday. You know who wasn’t on the guest list though? It’s been almost a year since they announced their divorce. It happened last year, right after her birthday. At the time they said it was amicable. And then his friends started talking about how Justin wasn’t about that LA lifestyle and had to go back to New York to reclaim his arty edginess. In the twelve months since, as we’ve seen, this is not a guy who avoids a party, especially not a party with all kinds of famous people around. If he was welcome at this party, he would have been at the f-cking party. Or, you know, maybe he just had something cooler to do in NYC.